I loved working on this event! 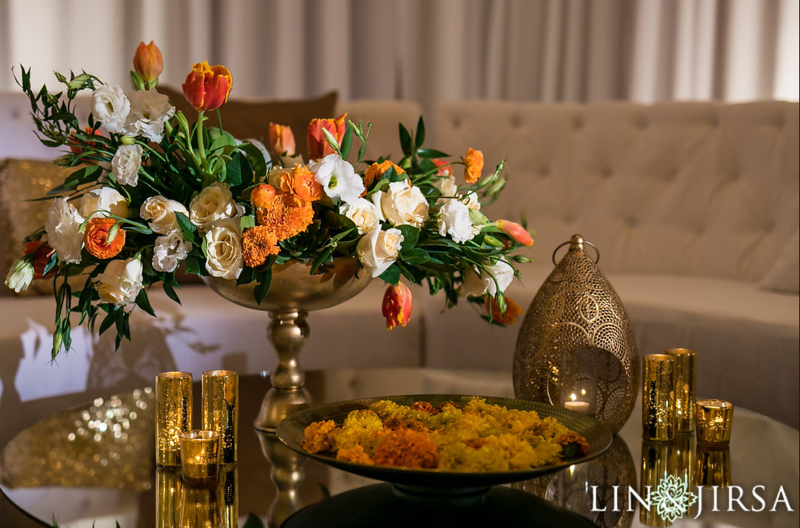 The flowing linens, paired with lush orange flowers really created an unparalleled atmosphere. The Team here at Shawna Yamamoto Event Design & Co. wishes the happy couple only the best in their future. The color scheme for this event included shades of gold, yellow, orange, and White. We accompanied the white upholstery with sleek round tables topped with bouquets of flowers and various candles. It isn’t a party without a bar. For this bar! We created this lush outdoor setup using white countertops, chic minimal drink racks, accompanied by a wall of greenery. 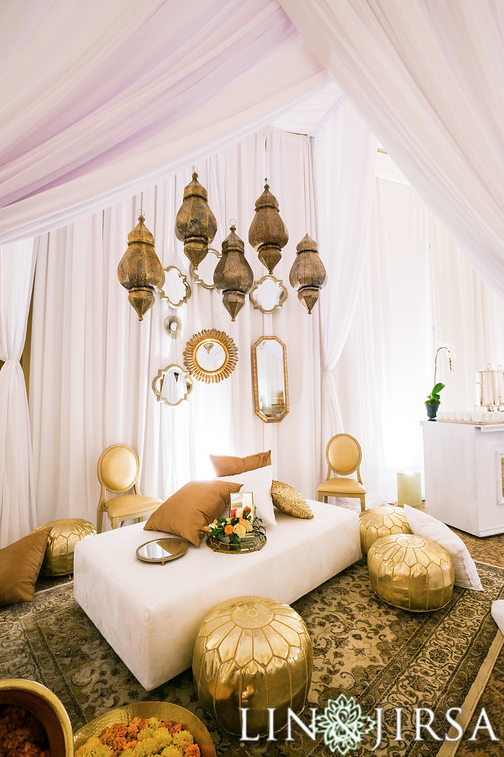 This lounge cabana served as a centerpiece to the room. 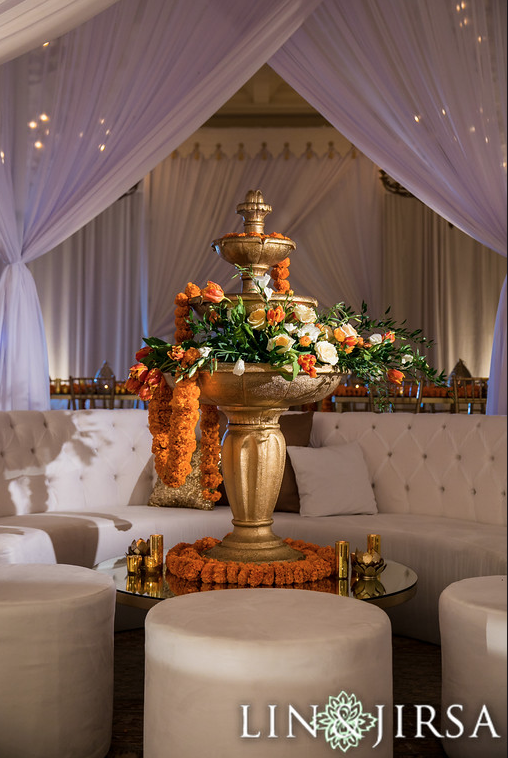 With white fabric and golden tassels the centerpiece created a fabulous place for the guests to socialize, relax, and enjoy some food. The guests spent the night dancing under the stars. String Lights completed the atmosphere, illuminating the outdoor setup. This turned out to be such a spectacular event. The guests spent the night socializing under the stars. String Lights completed to atmosphere illuminating the outdoor setup. This turned out to be such a spectacular Event!